Tim Bailey is one of the most recognizable and credible faces on TV, via his Network Ten weather segments which reach around the 400,000 people each Mon-Fri throughout NSW, the ACT and SE QLD. He is one of the most dynamic, versatile and effervescent characters on Australian television. Tim has one of the deepest demographic popularity in media. His reach, due to a long career in radio and television pushes into the rare demographic territory of eight to 80 years of age. This has been achievable by the broad variety of media work he has executed since 1991. His key role for the past 25 years has been with Ten News as their iconic weatherman. He is a champion of charity and community and a true "plug-in" power to consumers. He is an indelible part of Ten’s News, a program that often dominates a 40 per cent share of it's time slot and regularly in top 3 most watched shows on the Network. TEN News Demographics: 25 to 54yrs (20% of audience are mums under 40 years, the decision makers!). A skilled people person, Tim is is all about passion, performance, professionalism and energy - a mix of entertainment and information as well as a polished professional journalist with deep corporate experience. He has hosted various shows on Network TEN including NRG (surfing), Chilli Factor (extreme sport), The Big Breakfast (cartoon-kids), Airtime (basketball) and the Vodafone Beach Volleyball Tour. He has also covered the Commonwealth Games, 6 x Melbourne Cups, Bathurst and the Indy Car Carnival. 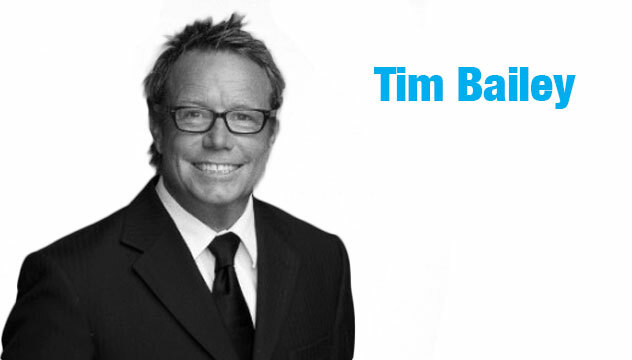 Tim is a Media consultant and presenter for Surfing Australia. Click here to hear some of the work Tim is capable of.